Below is a list of infographics about pumps and equipment. Infographic is basically explaining workings, features and benefits in images. If you would like to see more infographics about certain products, please click here. This infographic shows the many types of mining that uses pumps supplied by Global Pumps, Australia and New Zealand’s leading supplier of pumps to the mining industry. 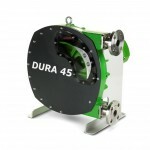 The Verderair air operated diaphragm pumps have many features and benefits. In this infographic, you will learn about the pumps, the various benefits that allow them to improve your production and how these AOD pumps can be operated in diverse environments.